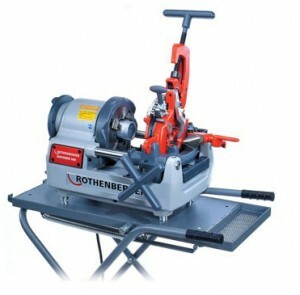 The Rothenberger Supertronic is a good middle ground for when you’re looking to work with pipe. Equipped with a deburrer and threading capacity of .5 inches to 3 inches, the 3SE model can also self regulate oil flow to keep a cool and clean threading point. Thread cutting oil is recommended with this product.